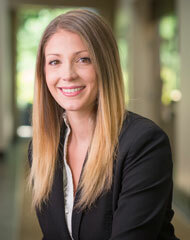 Ms. Ames joined Greenberg Gibbons in 2012 and currently serves as Marketing & Communications Manager. She helps oversee a wide variety of marketing activities including advertising, promotions, web content, social media and special events for the company’s portfolio of properties. Ms. Ames also assists with corporate responsibilities, leasing material, and design. Prior to joining Greenberg Gibbons, she held several positions within the events and marketing industry, most previously serving as an Event Coordinator for Bowlmor Lanes. Ms. Ames holds a Bachelor of Science in communication studies from Towson University in Baltimore, MD. She is a member of the International Council of Shopping Centers and a Certified Marketing Director (CMD).